139 Lukie Points will be rewarded to you when you buy this. Commandos Burn, Smith, Beans and Iron are a special forces team who have seen more than their fair share of action. Neo City is their post, now that a terrorist group known as D.N.M.E. is bombarding its citizens with a typhoon of a crime wave. The C-Force has been asked to stop them, no matter what. There are four characters to choose from, each with his own arsenal of weapons. You can switch commandos whenever the situation calls for it. 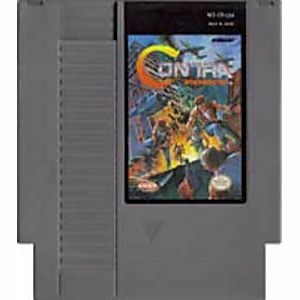 Endure all 5 grueling missions, swarming with traps and terrorists that take place in a warehouse, on a battleship, at a construction site, aboard a helicopter, and at C-Force headquarters. 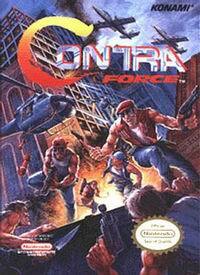 Contra Force. Good or Bad? 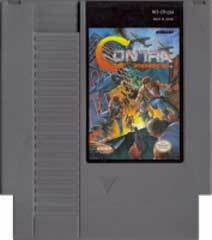 Contra Force does not technically fall anywhere in the Contra series. The first big difference is that it has nothing to do with aliens...instead the game takes place in a modern setting with human bad guys. None of the characters are the same, the weapons are totally different, and, sadly, the gameplay isn't quite there either. The graphics are actually really good since it was a later title for the system. The music on the other hand, isnt that great. Overall It's not a horrible game, but it's just too slow and annoying to really be very much fun.